Every person is entitled to protection from persecution. Canada has recognized this basic human right since 1951 when it signed the Convention relating to the Status of Refugees (the Geneva Convention). The right to life, liberty and security of the person is also enshrined in the Canadian Charter of Rights and Freedoms. To be granted asylum in Canada as a refugee, a person must be outside his or her home country and have a well-founded fear of persecution. According to the Geneva Convention, the fear must not only be well-founded, the persecution must also be based on reasons of race, nationality, membership of a particular social group or political opinion. However, a less restrictive interpretation of the feared persecution may also lead to refugee status. For example, Canada recognizes that women can be persecuted because of their gender and that the definition of a refugee should be interpreted to also include this form of persecution. A variety of circumstances can make a person a refugee. Some examples can be found here. Bringing refugees to Canada from outside the country is known as resettlement. Immigration, Refugees and Citizenship Canada (IRCC, formerly CIC) resettles individuals and families based on referrals from the United Nations High Commission for Refugees (UNHCR), other referral organizations, and private sponsorship groups. Note: The government of Canada affords LGBTQ2 individuals and couples the same rights and opportunities as other persons when it comes to immigration issues. Canada has obliged itself to protect genuine refugees, that is, not to send them back to persecution. 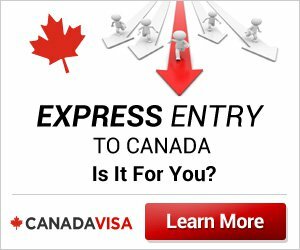 People who get to Canada on their own can claim refugee protection at any border point, or inside Canada, at a Canadian Immigration Visa Office. Read about the refugee application process. Refugee claims are complex and there is always a lot at stake. It is always advisable for people seeking refugee protection to be represented by a competent Canadian attorney with expertise in this particular area of the law. Individuals who have a refugee claim rejected, abandoned or withdrawn may eventually apply for a Pre-Removal Risk Assessment (PRRA). This is in opportunity for people who are facing removal from Canada to seek protection by describing, in writing, the risks they believe they would face if removed. For more information about refugee status in Canada, please consult our Refugee Status FAQ.